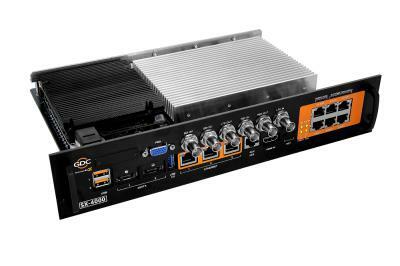 GDC Technology Limited, a leading global provider of digital cinema solutions, today announced its next-generation, award-winning SX-4000 standalone integrated media block (IMB) completed the full range of tests necessary to receive compliance from the Digital Cinema Initiative (DCI). As a result of receiving DCI compliance for its latest IMB, exhibitors are positioned to capitalize on the continuing advancement in technology with a reliable product designed for current and future growth opportunities. The test was completed by the Research Institute for Digital Media and Content (DMC) at Keio University in Japan, one of three entities licensed by Digital Cinema Initiatives, LLC to perform the Compliance Test Plan (CTP) tests. The SX-4000 IMB was approved by DCI after successfully passing the DCI Compliance Test Plan Version 1.2. This IMB was validated to FIPS 140-2 under the latest requirements from National Institute of Standards and Technology (NIST). For more information, visit the DCI website. Based on proven GDC technology, a cinema owner’s reliable choice since 2000, the GDC SX-4000 Standalone IMB® was introduced in April at CinemaCon 2016 and received the Digital Cinema Report Catalyst Award. When combined with the GDC XSP-1000 Cinema Processor (GDC Immersive Sound Solution), this latest GDC Technology bundled solution* enables a high-quality audio experience at a price point that allows exhibitors worldwide to affordably install immersive sound in auditoriums of any size and delivers realistic, rich sound to a much broader audience. The GDC SX-4000 standalone IMB® is designed with a built-in decoder for real-time rendering of DTS:X™ immersive sound in full 16-channels and two additional channels to support narrative audio, motion data and other special purpose signals. Built-in DTS:X decoder: Powerful audio processing capabilities to decode up to 32 channels of full, rich immersive sound. Contact a GDC sales representative to learn more about the features and benefits of the GDC SX-4000 IMB and other advanced GDC digital cinema products, such as the TMS-2000 and Library Management solution built with GDC CLA-2000 and Enterprise Storage Plus.